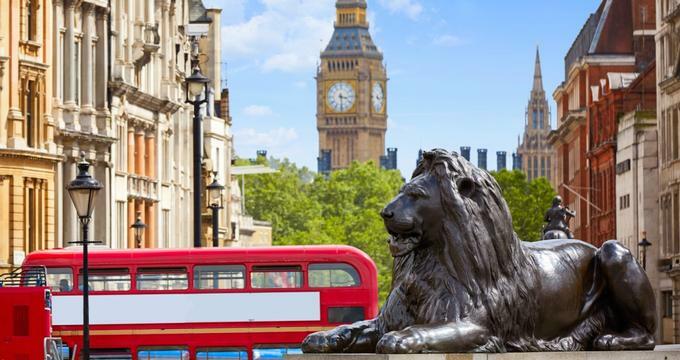 A trip to the United Kingdom has to include iconic destinations like Big Ben, Buckingham Palace, and Canterbury Cathedral, but there is much more to see and do here. From castles to gardens to museums, visitors will be impressed by the cultural offerings. 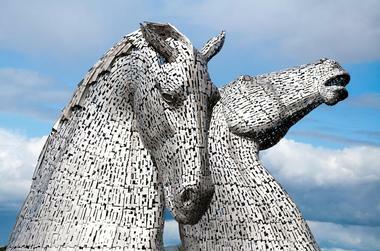 Astonishing Scottish engineering is on display at the Falkirk Wheel and the Kelpies of Helix Park. 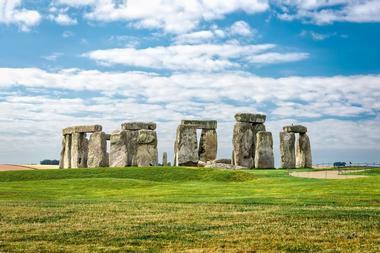 Stonehenge is an awe-inspiring 4,500-year-old tribute to neolithic life. Its opposite, the Eden Project, explores how humans can work toward a more sustainable future. 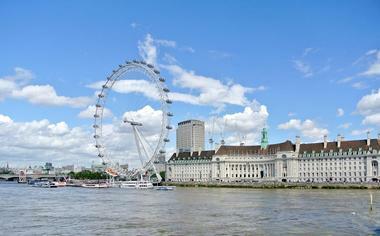 The London Eye, a giant Ferris wheel on the banks of the Thames, offers 360-degree views of London and beyond. These 25 must-do activities should be on every UK traveler’s bucket list. 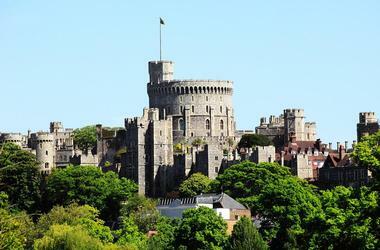 Windsor Castle, one of The Queen’s three royal residences, has been home to the British sovereign for more than 900 years. It is not only the largest castle in the world, but the longest continuously inhabited castle as well. It typically takes 3 hours to tour the castle, including watching the Changing of the Guard, a 30-minute ceremony. Highlights include Queen Mary’s Dolls’ House, the State Apartments, and St. George’s Chapel. The castle is, of course, filled with enviable treasures that delight the eyes. St. George’s Chapel is home to the Order of the Garter, the world’s oldest order of knighthood. Also in the chapel are the tombs of ten sovereigns, including King Henry VIII. 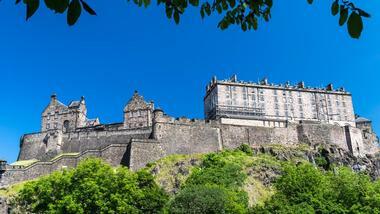 The iconic Edinburgh Castle is situated atop a steep slope in the heart of Scotland’s capital. A mighty fortress, it has been a sanctuary for numerous kings and queens of Scotland over its long history, which dates to the Iron Age. Visitors can join free guided tours or take self-guided audio tours in one of eight languages. 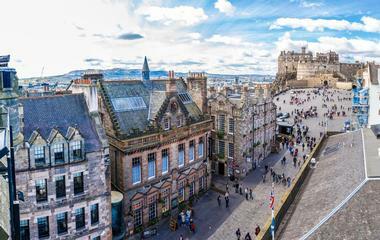 Tours include the Crown Room and Royal Palace, The Great Hall, The Stone of Destiny, The Crown Jewels, Mons Meg, St. Margaret’s Chapel, the Scottish National War Memorial, The Prisons of War, and beautiful panoramic views of the city. There are three gift shops, a café, and a tearoom. Big Ben is a must-do experience for any first-time visitor to the United Kingdom. 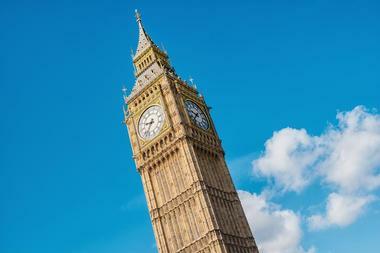 Although people commonly refer to the tower, bell, and clock together as Big Ben, in actuality, the name only refers to the bell. The tower, which was built in 1859, is called Elizabeth Tower, and the clock is called the Great Clock. Unfortunately, Elizabeth Tower, with its 399 steps to the top, is closed to tours from 2016 to 2021 for refurbishment. However, visitors can tour the interior virtually from the Parliament website, and of course take photos of the outside in person. There is also an illustrated guide book for purchase. 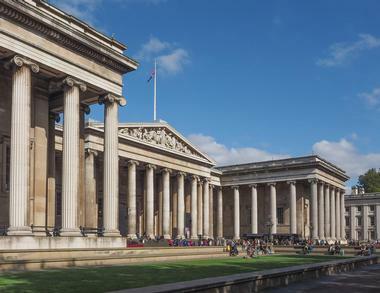 The British Museum contains a vast array of artifacts and art from around the world. Museum docents suggest choosing pre-determined “trails” based on the amount of time a visitor has to spend at the museum. The 1-hour trail highlights the nine most important exhibits in the museum, including the iconic Rosetta Stone. Other trails include: Three Hours at the Museum, 12 Objects to See with Children, A History of the World in 100 Objects, London – A World City in 20 Objects, and Desire and Diversity. There is also a museum store and a restaurant for those who want to make a day of exploring the museum and bring home some treasures. Probably the most sought-after experience when visiting Buckingham Palace is the Changing of the Guard. The Queen’s Guard has performed this duty since 1660. During the 45-minute ceremony, visitors will experience the colorful pageantry beginning at 11:00am, weather permitting. Visiting the State Rooms, where the Queen receives official visits, is another in-demand tour at Buckingham Palace. 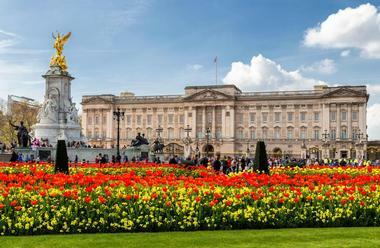 Those wishing to make a day of it can purchase A Royal Day Out ticket, which includes admission to The Queen’s Gallery, the Royal Mews (working stables), and the State Rooms. Visitors can purchase gifts inspired by the Royal Collection at the Garden Shop or any of the Royal Collection Shops. The Garden Café is open during the summer at the palace. 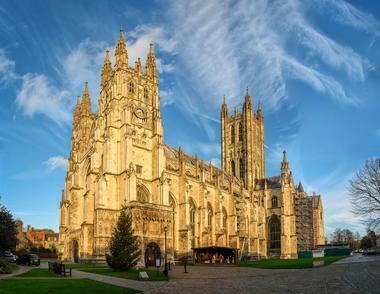 As the Mother Church of the worldwide Anglican Communion, Canterbury Cathedral is a place of graciousness and holiness. This beautiful cathedral has been the destination for pilgrimages since the Middle Ages. Today, visitors will experience the same Benedictine hospitality as those of ancient times. Because it would literally take days to explore the cathedral, they have created a route of ten must-see places, which includes the nave, The Martyrdom, where Archbishop Thomas Beckett was killed, the Great Cloister, St. Gabriel’s Chapel, The Quire, the Miracle Windows, The Candle in the Trinity Chapel, St. Augustine’s Chair, Tomb of the Black Prince, and the Water Tower. Carrick-a-Rede Rope Bridge is under the care of the National Trust along with over 500 other special places, including 176 parks and gardens. 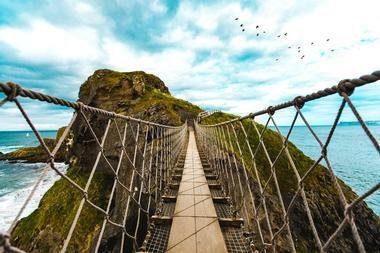 The rope bridge’s long history began in 1755, when salmon fishermen first erected it 100 feet above sea level. Brave explorers willing to cross the bridge will be rewarded with epic views and phenomenal photo opportunities, not to mention a hot drink and delicious cake at the Weighbridge Tea Room. A pair of binoculars will come in handy to spot island seabirds, oystercatchers, sharks, dolphins, and porpoises. Other highlights include the West Lighthouse on Rathlin Island, tours of Fisherman’s Cottage, and the beautiful floral splendor with three kinds of orchids and numerous wildflowers. 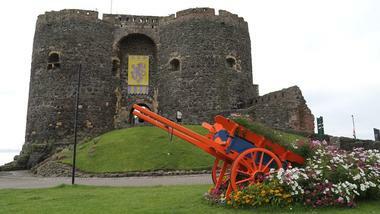 Carrickfergus is one of the most excavated towns in Ireland. The Heritage Carrickfergus walking tour guides visitors through the town’s historical attractions from the Middle Ages to today. One of the highlights of the tour is the 12th century Carrickfergus Castle, an iconic symbol of the town for over 800 years. Visitors are not required to tour the town in order to visit the castle. Completed from 1178 to 1242, the castle appears now as it did then. Continuous military occupation over 750 years is a testament to the belief that whoever held control over the castle had the best chance of gaining control of Ireland. Now visitors can explore the ramparts, grand halls, dungeons, and winding staircases. 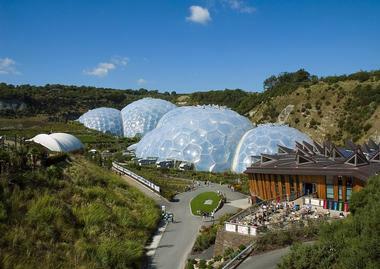 The Eden Project, located in Cornwall, is a must-do experience for the whole family. Built as an educational charity, it explores how humans can work toward a more sustainable future. The grounds are situated in a crater, where giant biomes are home to the largest managed rainforest on earth with amazing plants. The Core is completely sustainable and tells visitors the story of plants through biomimicry, as it’s based on a sunflower’s structure. Other highlights include the Rainforest Biome, Seed Sculpture, Mediterranean Biome, Rainforest Canopy, Outdoor Gardens, Skywire – England’s longest zip line, Must-see Trail, Discovery Trail, Giant Bee Sculpture, and so much more. It is a magical experience that cannot be missed. 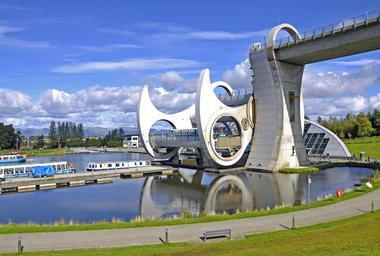 In 2002, Her Majesty The Queen, opened the Falkirk Wheel, the world’s first and only rotating boat lift in the world. More than 5.5 million visitors have since taken a ride on the wheel. An engineering wonder, it was designed to connect two canals – Union Canal and Forth & Clyde Canal. Guests can take 50-minute boat trips that raise the boat 35 meters from one canal to the other before returning to the visitors center. Visitors can take part in loads of family-friendly activities like a children’s activity zone, a water play park and mini-canal, a gift shop, and a café. There are also opportunities for canoeing, hiking, and biking. 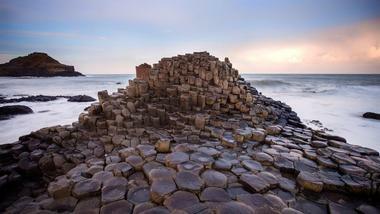 The Giant’s Causeway is made from 40,000 interlocking basalt columns. The only World Heritage Site in Northern Ireland, it’s the result of an ancient volcanic eruption. Must-see experiences at the Giant Causeway include the Grand Causeway, which is the largest of the three rock outcrops that form the Giant’s Causeway. The Giant’s Boot at the end of a pathway leading to the sea is probably the most popular attraction, and the naturally formed Wishing Chair is another must-see. The Camel and the 167 Shepherd’s Steps round out the list. The Giant’s Causeway Visitor Center opened in 2012, the result of an international architectural competition. Whether the goal is a romantic getaway for two, an enriching family holiday, or an adventure that challenges body and mind, Glencoe in the West Scottish Highlands is the destination. The area known as the Outdoor Capital of the UK is ripe with adrenaline-pumping activities like ice climbing the Ice Factor, mountaineering, and alpine skiing and snowboarding in winter, and canyoning, coasteering, black route cycling, and white water rafting in summer. Tamer activities for families include Segway tours, fast boat tours, geocaching, and cycling. 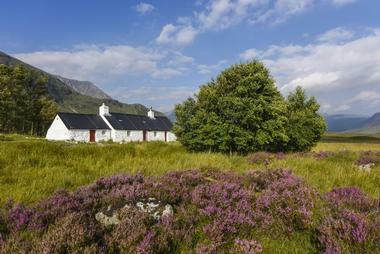 Kinlochleven, with its stunning mountain scenery, rivers, and lochs, is a relaxing and romantic backdrop for activities like scenic drives, golf outings, nature walks, and personal day tours. 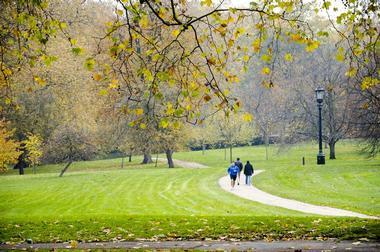 London’s 350-acre Hyde Park is one of eight royal parks in the city. It is equal parts vibrant community gathering place and relaxing space to commune with nature. With no fewer than 19 memorials, fountains, and statues, including the Diana, Princess of Wales Memorial Fountain, visitors can spend countless hours of quiet exploration. For more active visitors, activities include swimming, rowing, or pedal boating the Serpentine, horseback riding, cycling, skateboarding, and walking. There are both children and senior adult playgrounds. The Rose Garden and The Lookout provide gorgeous contemplative spaces for relaxing, and the meadow gives visitors an opportunity to see a diverse variety of flora and fauna. The park hosts numerous exciting events and concerts. 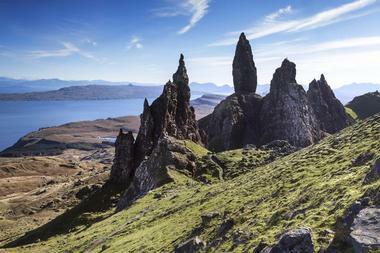 The Isle of Skye has been named the fourth best island in the world by National Geographic. It doesn’t take long for visitors to discover why it’s famous for its scenic landscapes. Both adventurers and romantics will find special appeal here. This island of extremes features white coral beaches and seaside cliffs, imposing rugged mountains, and endless sea lochs. The northern end is characterized by the dramatic Cuillin mountain range, while the southern end, dubbed the Garden of Skye, is characterized by a temperate climate and lush wooded glens. Quaint crofting villages dot the island. Visitors will find castles, museums, distilleries, and the heritage of superior craftsmen, who demonstrate the isle’s natural and cultural beauty. The London Eye offers arguably the best 360-degree views of the city in certainly the most entertaining way. This giant Ferris wheel on the South Bank of London’s River Thames is an astounding 443 feet tall. Egg-shaped futuristic capsules accommodate up to 25 passengers each, and it moves so slowly that passengers can get on and off without the observation wheel ever stopping. The London Eye provides picture-perfect views of some of London’s most iconic symbols like Buckingham Palace and, in fact, offers views on clear days of up to 25 miles. Savvy travelers will choose to ride at night, when the lines are shorter and the views are even more magical. Although the award-winning National Botanic Garden of Wales only opened in 2000, it’s already the most visited garden in Wales. Visitors will find over 8,000 plant varieties in a wide range of themed gardens on 560 acres. 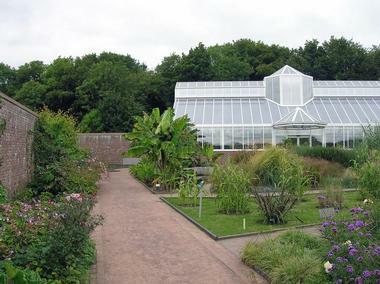 The stunning single-spanned glasshouse displaying Mediterranean plants of the Northern Hemisphere is the world’s largest. There is so much to see here that visitors will want to pick up a map and prioritize their must-see gardens and attractions. From the Bee Garden to the Butterfly House, the Double Walled Garden to Fairy Wood, there is something for the whole family. The journey through this epic garden paradise begins at the gatehouse. 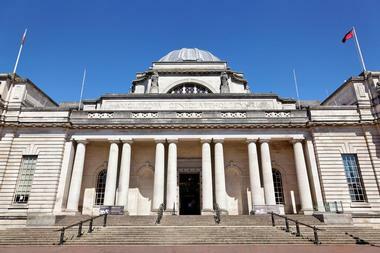 First open to the public in 1922, the National Museum Cardiff is one of a network of seven museums that make up the National Museum Wales. It houses Wales’s national collections of geology, natural history, and art. The museum is situated in Cathays Park, the city’s civic center. The art galleries reflect 500 years of artistic pieces from paintings to ceramics, including an admirable collection of impressionist art. The geology collection includes exhibitions of the Big Bang and Earth’s formation to the geological origins of Wales to the end of the first ice age. The natural history collection explores the unique and diverse environments that make up Wales. This family-friendly museum includes a hands-on discovery center. The National Portrait Gallery in London is home to the world’s most extensive collection of portraits. The museum’s Primary Collection includes an incredible 11,000+ portraits. The paintings, sculptures, drawings, photos, and mixed media portraits reflect pre-18th century portraits, 18th century and Regency Portraits, Victorian portraits, and 20th century portraits. The museum also holds 250,000 photos, of which some are included in the Primary Collection. There are 80,000 portrait prints, drawings, silhouettes, caricatures, medallions, and miniatures in the Reference Collection. While at the museum, guests may want to plan their visits with ready-made tours by time period or theme. Tours can also be highly personalized with printable maps. Visitors can eat at the Portrait Restaurant and Bar overlooking the city or the sky-lit Portrait Café. The National Roman Legion Museum is inside the remains of Caerleon Fortress, the most westerly point of the Roman Empire in Roman Britain. It holds numerous artifacts of the period from 75 AD to 275 AD. 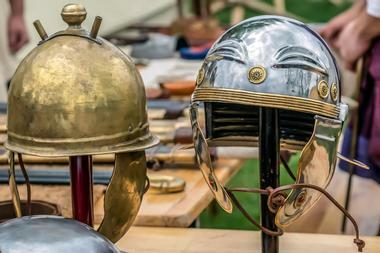 Exhibitions depict what it was like to live, fight, worship, and die during Roman times. A full-sized barrack room allows visitors to don the replica armor of a Roman soldier to feel what it was like. The Roman Baths Museum and Britain’s most complete Roman amphitheater are both within walking distance. Another must-see is the Roman Garden, first introduced to Britain by the Romans as an ornamental garden designed for pleasure and relaxation. One of the most frequently visited streets in Edinburgh is the Royal Mile, which stretches through the heart of Old Town from Edinburgh Castle to Holyrood Palace. Comprised of four streets – Castlehill, Lawnmarket, High, and Canongate – the Royal Mile is lined with museums, shops, restaurants, pubs, and cafés. The 17th century Parliament Hall, the current Scottish Parliament, St. Giles Cathedral, and numerous other significant cultural attractions are also scattered along the mile. More must-see attractions include the People’s Story Museum, the Storytelling Center, Canongate Kirkyard, the Scotch Whisky Experience, Real Mary Kings Close, and the Museum of Childhood, among other notable stops. Stonehenge is arguably the most well-known prehistoric monument in the world, and certainly the best known in Europe. Listed among the wonders of the world, it is a symbol of neolithic life in an ancient landscape. The awe-inspiring 4,500-year-old stone circle is the highlight of a visit here. It’s difficult to imagine what it took to create this engineering wonder with only simple tools, but visitors can get a glimpse of what it was like to live during this era in the neolithic houses. The Standing in the Stones audiovisual demonstration allows guests to experience the summer and winter solstice at Stonehenge no matter what time of year they visit. Additional archaeological treasures from the era can be found on display at both the Salisbury and Wiltshire Museums. 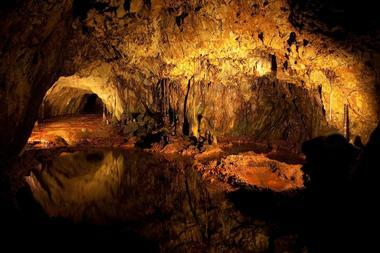 The Sygun Copper Mine is located in Snowdonia National Park and is considered one of the wonders of Wales. It pays homage to the industrial heritage of local copper mining. This family-friendly attraction provides visitors with a glimpse into the daily life of a Victorian copper miner. Guests take self-guided audio tours through the tunnels and chambers of the old mine, admiring its amazing stalactite and stalagmite formations as well as its copper ore veins, which still contain precious metals like gold and silver. Aboveground, there is the Museum of Antiquities and a children’s adventure playground. The Sygun Copper Mine also offers serene lakeside walks. Numerous fun nearby attractions only add to the allure of Sygun. The Tate’s focus is on international contemporary art with 70,000 artworks in four galleries. 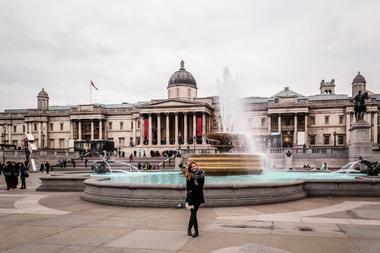 It is London’s premier art museum, featuring British art from the 16th century to today. Tate Modern, one of the four galleries, was established in 1994 in the former Bankside Power Station on the banks of the Thames, and opened to the public in 2000 after extensive renovations. 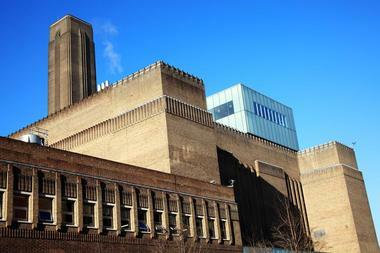 Tate Modern is a London landmark for both its modern art holdings and its architecture. This museum of modern and contemporary art from around the world allows visitors to see the works of artists such as Picasso, Dalí, Matisse, and Warhol. The astonishing 30-meter-high Kelpies, the two biggest equine sculptures in the world and made from over 300 tons of steel, are the focal point of Helix Park. Envisioned as a tribute to the work horse and the national equine history of Scotland, they’re situated along the Forth & Clyde Canal in Helix Park. The Kelpies can be experienced on a guided tour, where visitors will go inside the sculptures to learn about the engineering and inspiration behind them. They’re a perfect complement to the engineering marvel of the Falkirk Wheel, which links Forth & Clyde Canal to Union Canal. Helix Park also features over 300 miles of cycling and walking paths, and pedal boats and a splash play adventure zone at the park lagoon. 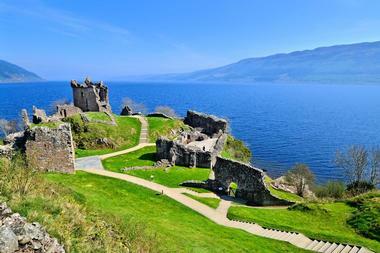 Urquhart Castle stands as an imposing medieval fortress at the center of Great Glen along the shores of Loch Ness. Once one of the biggest castles in Scotland, it has seen centuries of conflict. Visitors to Urquhart will discover over 1,000 years of gripping history, as control of the castle swung between the English and Scots amid the Wars of Independence. These power struggles continued into the 1500s until the castle was eventually left in ruins. Today, its iconic remains are open to the public, where visitors can stand in its battlements and take in the vast views, examine the working trebuchet (stone throwing machine), and explore the gloomy prison.